Henry Gronnier is a founding member and first violinist of the Rossetti String Quartet. Early musical studies took place at the Conservatoire in his native town of Saint Quentin, France, where he was awarded the Premier Prix in both piano and violin. Henry Gronnier is a founding member and first violinist of the Rossetti String Quartet. Early musical studies took place at the Conservatoire in his native town of Saint Quentin, France, where he was awarded the Premier Prix in both piano and violin. He attended the Conservatoire National de Region de Versailles, receiving the Gold Medal in the class of Madeleine Thuillier Deverge and continued with Michèle Auclair of the Conservatoire National Supérieur de Musique de Paris, where he received his Artist Diploma. He concluded his studies with Nell Gotkovsky, Sally Thomas, and Zino Francescatti. Mr. Gronnier has appeared throughout the world in recitals, including his New York debut at Carnegie Hall’s Weill Recital Hall and his London debut at Wigmore Hall. As a soloist with orchestra and in chamber music ensembles, he has appeared at a number of the world’s most prestigious festivals including the Festival of Two Worlds, Spoleto Festival (both in Italy and Charleston, South Carolina), Lucerne Festival in Switzerland, Mostly Mozart at Lincoln Center, Caramoor Summer Music Festival, Casals Festival, Festival Méditérranéen, Festival Albert Schweitzer, The Zino Francescatti Festival, and the Festival de San Miguel de Allende. 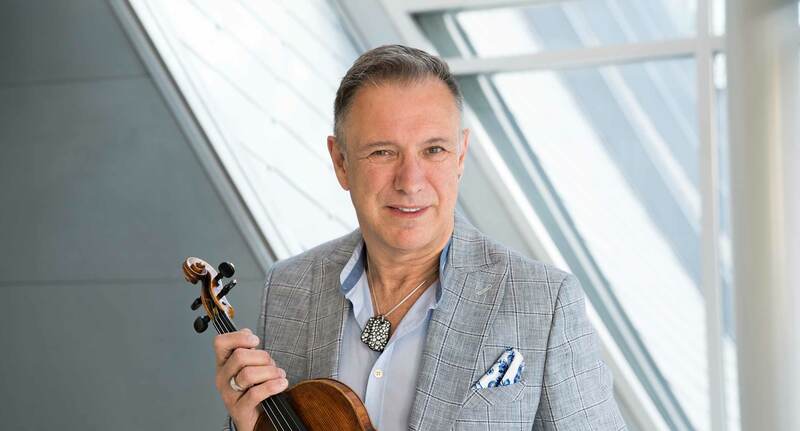 He has performed with such artists as Jean-Yves Thibaudet, Rina Dokshitsky, Katia Skanavi, Ursula Oppens, Lukas Foss, Pepe Romero, Paula Robison, Eugenia Zukerman, Patrice Fontanarosa, Chantal Juillet, Claire Désert, Anne Quéffelec, Pierre Barbizet, Carter Brey, Emmanuel Strosser, and Stephanie Chase, among others. In October 2014 Mr. Gronnier toured China as a soloist with the Rocky Mountain Ballet Theatre. In addition to Mr. Gronnier’s career as a performing artist, he has been very involved in the artist management field. He created Henry Gronnier Artists Management in New York and successfully nurtured several young talents who went on to have international careers. Having done that, he continued as Vice President of Jack Mastroianni Associates, working with some of the elites in the music world today, such as Cecilia Bartoli, Mirella Freni, Angelika Kirschlager, Julia Fischer, and Jean-Yves Thibaudet to name a few. Not only does he understand how to develop talent through teaching, but also how to navigate the path once the individual is ready to enter their chosen career. Henry Gronnier was an Associate Professor of Violin and Director of Chamber Music at University of Southern California’s Thornton School of Music until the spring of 2014. He is currently on faculty at the Community School of Performing Arts and The Music Academy at the Colburn School in Los Angeles, Bob Cole Conservatory at California State University, Long Beach, and on the Advisory Board of the Rocky Mountain Ballet Theatre.